With Sport-Tiedje in Bottrop you have a competent fitness equipment and home fitness partner by your side. 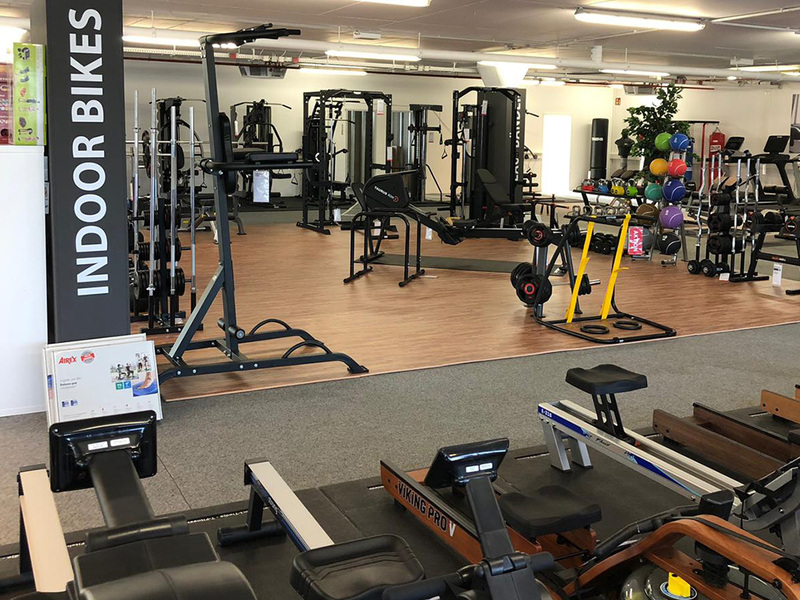 In our fitness specialist store at Ruhrölstraße 1, in furniture store (Möbelhaus) Ostermann, you'll find a large 520m² showroom floor with user friendly strength and cardio equipment for comfortable and joint-friendly training at home. Discover our large range of treadmills, crosstrainers, exercise bikes, indoor bikes, rowing machines and multi-gyms. Apart from fitness machines and accessories our assortment is complemented with sport nutrition products, pulse watches, dumbbells, Fascia rolls and much more. 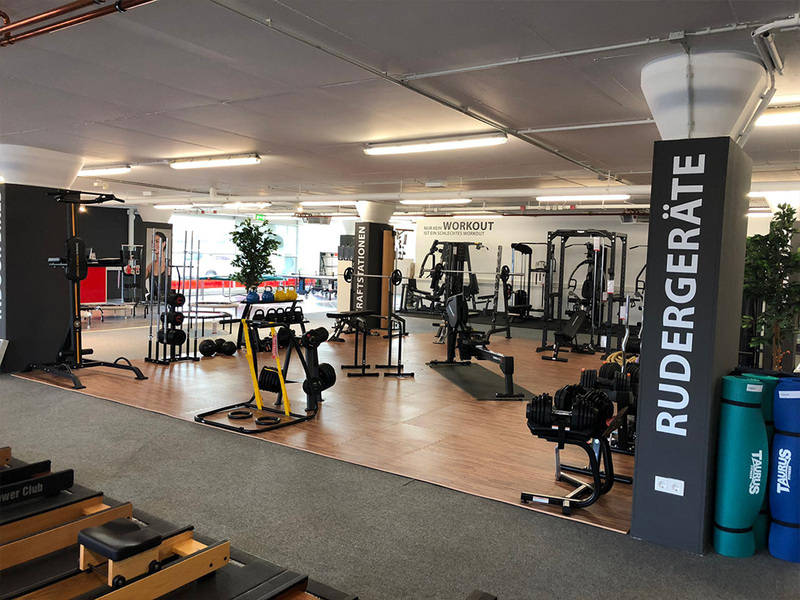 It doesn't matter which fitness goal you have – if you want to lose weight, improve your condition or want to prepare for the next Bottroper Tetraeder staircase run – you'll definitely find the right fitness equipment with us. We are looking forward to your visit in Bottrop. 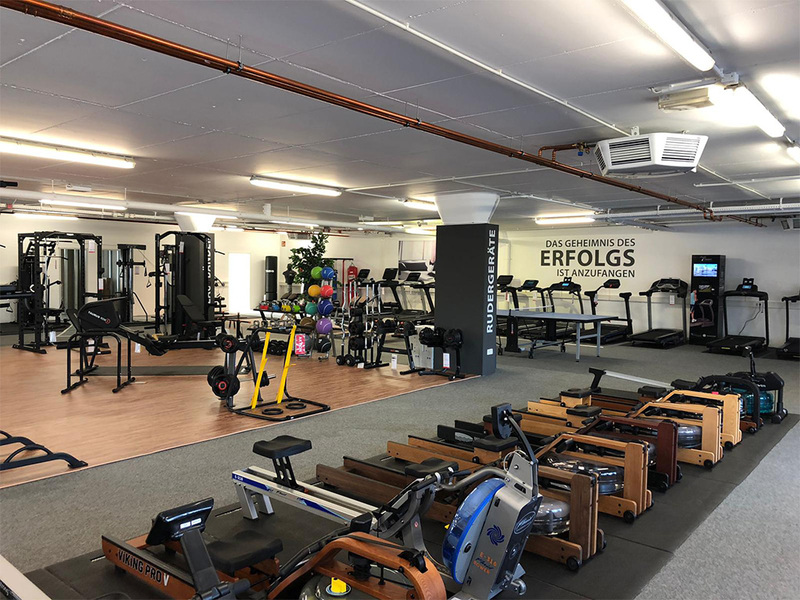 Are you searching for fitness equipment, that perfectly suit your needs but aren't sure which one(s) and what you should look out for when purchasing? With Sport-Tiedje in Bottrop our competent and dedicated staff will help you with all your questions about health and fitness. Because we want you to find the correct equipment that will help you with sustained results and to reach your goals. That's why we offer customer oriented advice and the possibility to extensively test different fitness equipment. Just come in some comfortable clothing and our experts will guide you through our assortment. 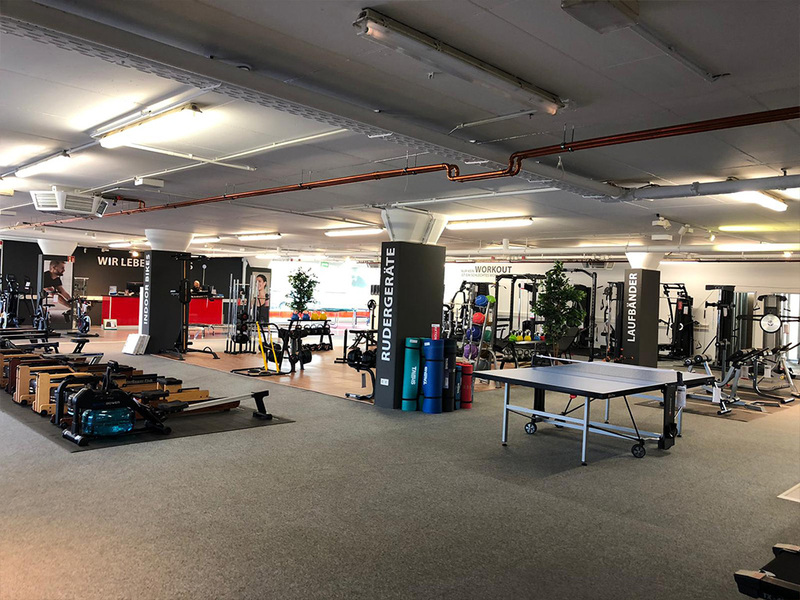 Also after your purchase we can support you as your contact partner if you, at any time, have questions about your training with your new fitness equipment. If your rowing on the Rhein-Herne canal, jogging in the Revier park or inside the Alpine center, the ski center with the longest indoor ski track in the world: Bottrop has many sport hotspots available to undertake. When the outdoor sport season at the end of the year takes its winter break, you can then stay fit within the comfort of your own home. With fitness equipment at home you can train, independent from weather and season, and always when it best suits your time frame. And training on your own home fitness equipment is very enjoyable! Different trainings programs and entertainment options offers variable and enjoyable training at home. You can ride virtually on routes world wide, race against your personal best or also watch your favourite TV series. With fitness equipment at home you have the best conditions to train regularly in everyday life.